Here is more detailed information on how to accept an answer and what the rules & suggestions regarding it are. Not the answer you're looking for? 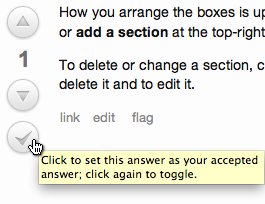 Browse other questions tagged support faq accepted-answer .